Carinissima, questi look ti donano molto! 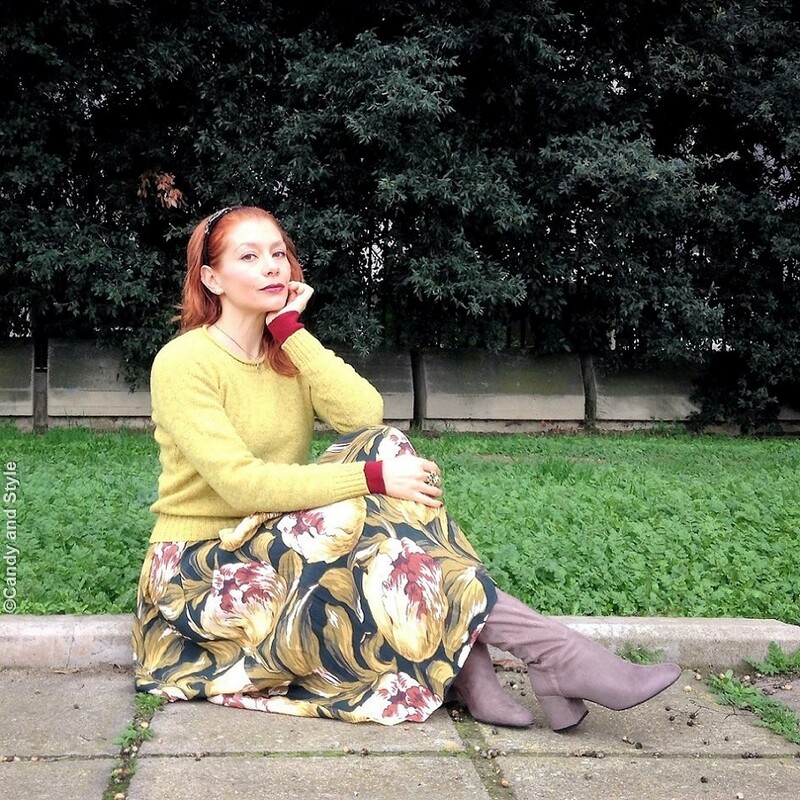 Si, io amo sempre rallegrare le grigie giornate invernali con stampe e colori... questo look è splendido, sa già di primavera! I love this outfit Lilli! It's like bringing your own sunshine :) Happy Monday! Che bella la gonna con quei fiori. Un ottimo modo per contrastare queste giornate uggiose. Ah, i feel the sping in the air! Dear Lilli, you brighten up my grey day, just with your pretty nice outfit. I really like all these soft colors together and the shades matches you so good. A red lipstick is always a great idea to brighten up a face. 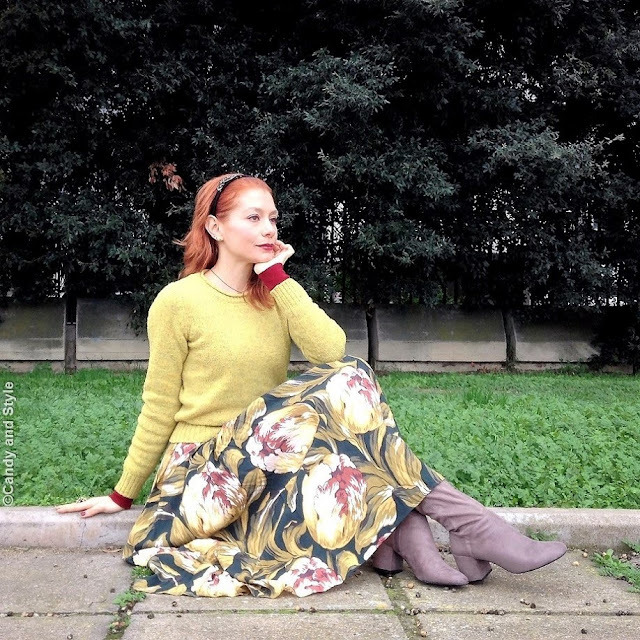 Love your floral skirt plus the yellow and light gray combination. It definitely cheered up my day.